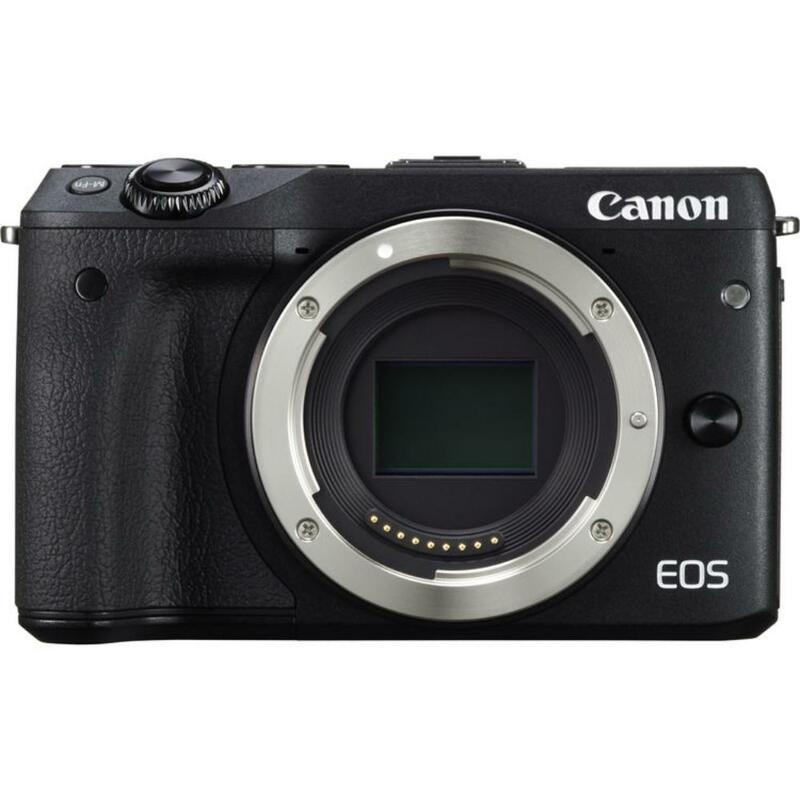 The Canon EOS M3 Mirrorless Digital Camera greatly improves upon the original Canon EOS-M with a higher megapixel count and much faster autofocus (up to 6.1x faster than the EOS-M) thanks to the DIGIC 6 processor. 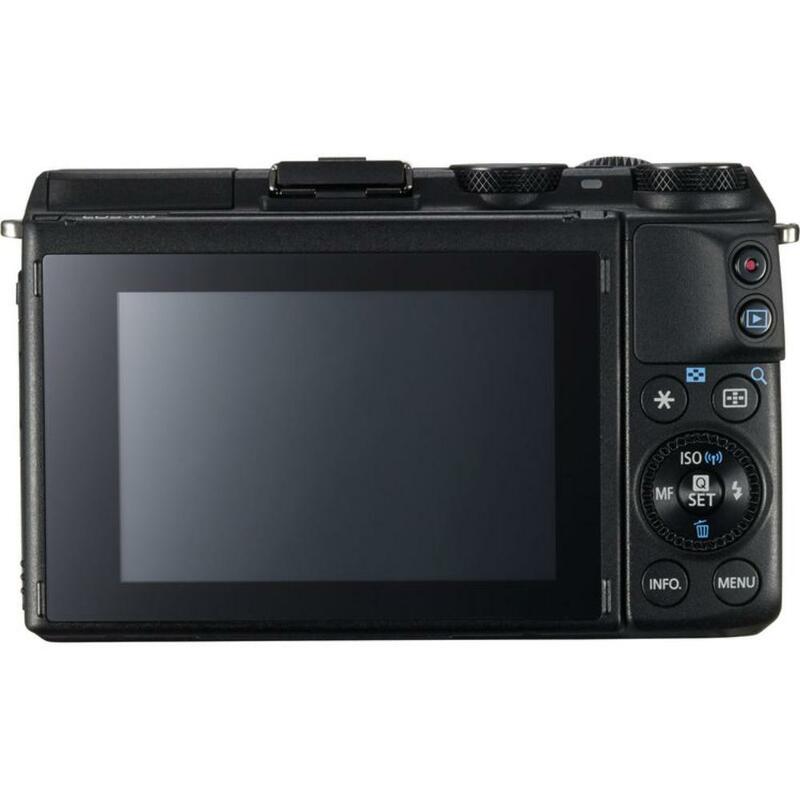 It features built-in WiFi with Dynamic NFC for easy control of the camera with a tablet or smartphone (when paired with the Camera Connect app) and complete manual control is maintained over ISO, shutter, aperture, and frame rate. The touchscreen lets you create pull-focus effects when recording video and an external mic jack is available for high sound quality options. The EOS M3 sports Dynamic IS (with supported lenses) for vibration-free filming. When coupled with the optional Canon EF to Canon EF-M Adapter, you can mount EF or EF-S lenses to this camera (lenses not included). Otherwise, you must rent Canon M Mount (EF-M) lenses, such as the Canon EF-M 18-55mm f/3.5-5.6 IS STM. An integrated E-TTL II-compatible hot shoe accepts full size Canon flashes, such as the Canon Speedlite 600EX-RT, and triggers, such as the Canon ST-E3-RT Speedlite Transmitter, with sync speeds of up to 1/200th of a second. This camera is designed for shooters who need the versatility of a DSLR but in an extremely portable form factor. It is ideal for vacations, hiking, and adventure shooting. Note that this camera does not include a lens. This camera does not accept EF or EF-S lenses unless you rent the Canon EF to Canon EF-M Adapter. Otherwise, you must rent Canon M Mount (EF-M) lenses, such as the Canon EF-M 18-55mm f/3.5-5.6 IS STM. 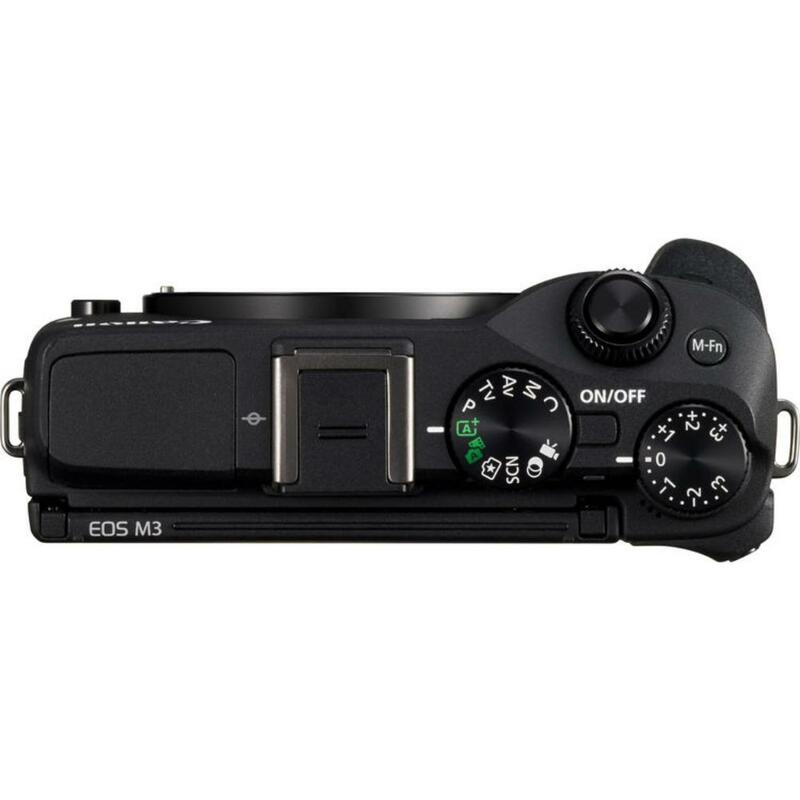 • This camera does not accept EF or EF-S lenses unless you rent the Canon EF to Canon EF-M Adapter. Otherwise, you must rent Canon M Mount (EF-M) lenses, such as the Canon EF-M 18-55mm f/3.5-5.6 IS STM. • Continuous video shooting is possible for approximately 29 minutes (limited by product specifications, default setting) or up to 4GB.